Plan : To shoot a pic of my first camera. 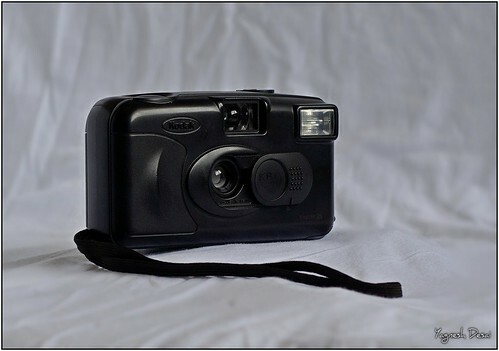 ie Film point and shoot from Kodak. Story: Since the body of this camera is black decided to create a setup using white clothes near the window for the light. Focused manually on its lens. This makes my first attempt at product photography. Learning: If using cloth for the background "Iron It first".